Smart phone game designed to increase support for local bike programs and planning. 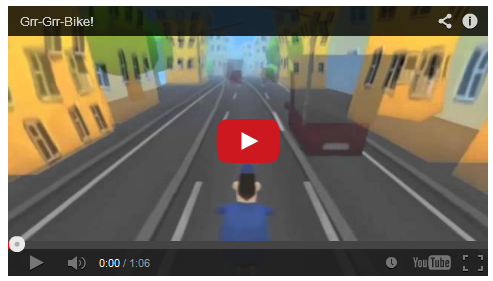 Endless „biker“ game where players control a bike to avoid obstacles, opening doors and traffic signals. Results screen provides very short information on one or two local bike issues. This informations changes after each game and includes links to more detailed information. The goal is to encourage more people – especially young people – to ride bikes and get involved in making biking safer and better in their community.